The surface of a human face is the most interesting surface on the Earth – claims Georg Christoph Lichtenberg. The history of human beings is also the history of their faces and the ways of presenting them. One of the plots in this history is gravestone photographs. When put on the gravestones, the portraits acquire a special status – the auratic power of the body is transferred to the picture, while the picture itself of the body or its part (especially the face) becomes the picture of a human being. Even though made before the death, a portrait put on the grave performs the function of a death mask – it transforms the face into the picture-representation of the dead, who – absent because of the death – are present again, while the special nature of their presence consists in the fact that it is only possible because the person in the portrait is physically absent. Gravestone photographs represent the body, similarly as the Veil of Veronica or the Shroud of Turin before them – the imprints of the body-pictures rendering the invisible visible. The basic motive for making death masks or placing portraits on graves is the desire to retain the memory of the dead. 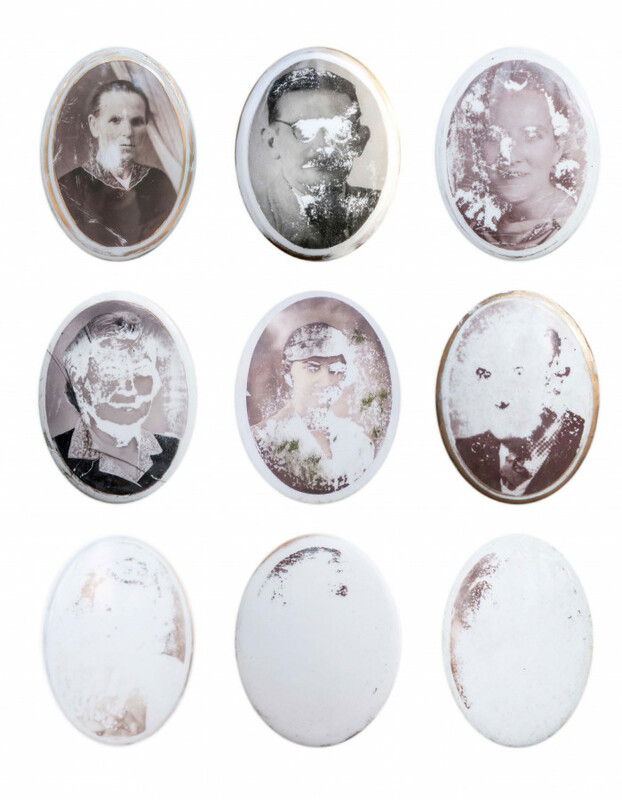 However, for numerous reasons the photographs presented in the series The Right to be Forgotten have been fading slowly, in some cases becoming completely invisible.